Fire and Ice is today’s blogger of the day in the Memory Child Blog Tour. 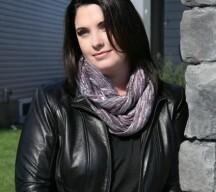 We have an author interview by Steena Holmes to share! The story of a married couple, Diane and Brian, that learn they are pregnant with their first child has come at an unfortunate time. Brian is thrilled with the news since he has patiently waited for twelve years to become a father, however Diane is unsure of her excitement. With her family’s dark past, her recent promotion, and Brian being called away to London for work parenthood has arrived unexpectedly. When a year has passed and Diane is completely head over heels in love with her precious baby girl, Grace, Brian has still not returned from London. Diane’s dark past collides with her mysterious new life and the surreal family drama is unveiled. You found critical success with Finding Emma and Emma’s Secret, this is a departure from those books. Why the change and what can readers expect? Writing the Finding Emma series was and is my happy place. 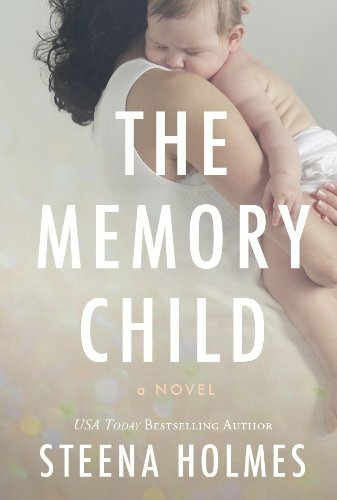 I fell in love with Emma and Jack and even now, I still dive into their world and offer short glimpses into their lives to my readers via my newsletter – but I wanted to push myself with The Memory Child. The stories that resonate the most with me personally are those that hit my heart as a woman and as a mother and in The Memory Child, I wanted to go a step beyond where Finding Emma went and hit deep. Sometimes the story isn’t always about the happy ending but the journey we take to to get to the point where we can see glimpses of happiness. People had emotional reaction to Jodi Picoult’s My Sister’s Keeper twist. Your book has an equally interesting twist. How do you think readers will react? What I loved best about My Sister’s Keeper is that I still think of that twist and its been years since I read the book. Whether you loved or hated the ending, you still talked about it, thought about it and probably went back to see if you could see clues…and that’s what I want from my readers. My goal while writing The Memory Child was to have that emotional reaction from my readers – because then I know this story will stay in their hearts. The book is about the challenges a married couple faces with one spouse frequently traveling. Where did the inspiration for this story line stem from? The idea of a childless couple who were both career focused interested me. I wanted to write about a strong woman – a goal driven woman who knows what she wants and suddenly has her life turned upside down. Many woman in today’s society are like Diane – strong, capable of running empires and I wanted to see how she would react to having those goals altered. The travel aspect came naturally to the story. While I was writing Finding Emma, I worked as a virtual assistant to a large corporation where many of the executives travelled abroad and so I knew that this aspect to Brian and Diane’s marriage would be an ingrained aspect of their lives. Is there a lesson you want your readers to take away from the book? Not really a lesson, but more of a reminder. There is a strength found in us women that we underestimate. While I was researching for this story I had countless women/mothers email me to share with me their experiences, and I was continually amazed at the overall theme of each story I heard. There is a strength inside of us that has the ability to alter destinies, to create paths were there were mountains and to forge ahead in the darkness when there is no light. A mother’s love is unfathomable and never ending and even though we are not perfect, we are strong. When a reader has closed the last page of my book, I want them to walk away with that reminder. What do you find is Diane’s best Trait? I love Diane’s tender heart. She tries to hide in behind her cool veneer and the masks she wears when she’s not at home with Brian, but she’s such a softy. You see it in the little things that she does or says or takes time to enjoy. What is your favorite scene from The Memory Child? There are a few that are my favorites. I love the scene where Brian and Diane are celebrating their anniversary and I cry each time I read the ending. Any scene where their love shines through catches my heart. Great interview. This sounds like it will be a great, but emotional read 🙂 Thanks for sharing! This was a wonderful book. It was very emotional and a page turner. Loved the characters, love this author!